Spelt is an ancient grain, with a nutty flavor. It looks just like wheat, but it’s much easier to digest. 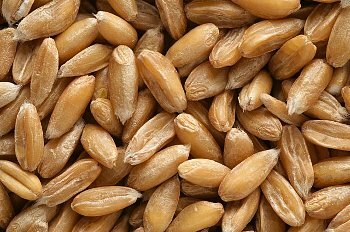 Spelt is high in manganese, fiber, phosphorus, vitamin B3, magnesium and protein. There are two types of spelt flour: whole grain, and unbleached all-purpose. The former being more nutritious and higher in fiber, but also has a somewhat bitter taste. If you’re accustomed to baking with wheat flour, especially working with pie dough, spelt flour will be a challenge, because it tends to crumble. Local health food stores, Whole Foods Market, and Trader Joe’s sell spelt bread. Spelt products are not likely to be found on standard supermarket shelves. Spelt is easier to digest than common wheat. People who suffer from wheat allergies tend to tolerate spelt, and don’t experience reactions. Spelt contains gluten. However, celiacs who cannot tolerate gluten have had success consuming spelt. Bulk spelt flour is sold in local health food stores, and co-op food markets. Whole Foods Market sells packaged Arrowhead Mills whole spelt flour. Other than bread, spelt is used to make pasta, pretzels, cookies, bagels, hamburger and hot dog buns. These products are more costly than standard wheat pasta, snacks and breads. These brands are sold in many health food stores. Whole Foods Market carries them as well. 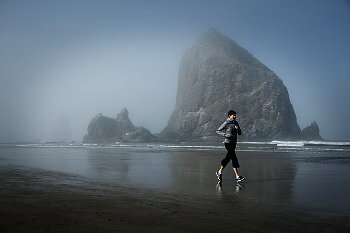 Exercise and a healthy diet are best defenses against breast cancer. Angelina Jolie underwent a double mastectomy to prevent breast cancer. As a high profile figure, it’s a good bet that other women will follow her example. Pulling all your teeth to prevent tooth decay, or removing your colon to prevent colon cancer seems as radical as Jolie’s decision to remove her breasts before she has cancer. There are other, more natural ways for women to prevent the development of breast cancer, than having to remove both breasts. First published in 1946, by the Self Realization Fellowship, Autobiography of a Yogi, is the life story of Paramahansa Yogananda, one of the world’s most well-known teachers of Yoga science. Since its first printing, the book has sold over 4 million copies. Autobiography of a Yogi describes Yogananda’s spiritual journey, and his search for enlightenment. He was born in India in 1893, and in 1915 became a monastic. Yogananda moved to the United States in 1920, where he founded the Self-Realization Fellowship to disseminate his teachings. Autobiography of a Yogi is an inspiration for anyone considering the spiritual path, or for those already on their way. It will make an excellent gift for Yoga lovers. Visit the Self Realization Fellowship website to read more about Yogananda’s teaching. The SRF web bookstore sells his books and CDs. There’s nothing bad about this terrific little cookbook that gives time-saving, healthy recipes for hurried, health food fans. Get recipes for breakfast, lunch, dinner, salads, sides and desserts. Prep times average between 5 to 10 minutes, and cook times from 6 to 20 minutes. Packed with easy recipes, this little book is fun to read, has gotten great reviews on Amazon, and won’t take up much space on your cookbook shelf. Buy it at amazon.com for only $9.95 new. This is an excellent basic stretch to help open the hips. If you practice Yoga and have difficulty with hip openers, make the Lunge Stretch part of your regular stretching routine. This stretch targets the iliopsoas muscle. Bring your right leg forward within your ability. You may have to align your right knee directly under your right hip, unless you have more flexibility, and can bring your leg further back. Place your hands on either side of your right foot. Hold the Lunge Stretch for 15 to 20 seconds. 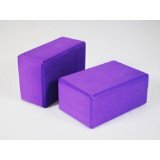 If you have difficulty reaching the mat, place a Yoga block under each hand. Place a folded towel under your knee for added cushioning.